Skull Key Chain Meerschaum Pipe - Carved with deep set eyes this Skull is a perfect miniature of a real Skull meerschaum pipe. 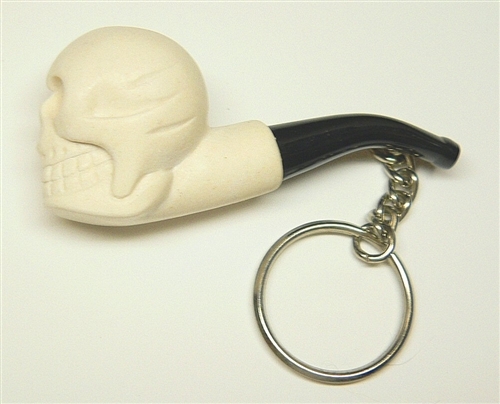 It features a carved out bowl, a detachable stem with fitting and draw hole, a waxed finish and a key chain attached. Made in Turkey and hand carved from 100% Solid Block Meerschaum.